Oh I LOVE!! I love the designs. Every one. Love the cogs and gears etc. So cool looking and beautiful. I think you’re definitely on the right track!! Oh I’m loving your line Erin! It has come together beautifully I think. A very distinct and recognizable look. Well done! I just LOVE that cuff bracelet. I also really like the simple pendant necklaces. I think that many will like them even if they’re not necessarily into the steampunk thing. Love, love, love that heart pendant, Erin. Beautifully done. Everything is looking wonderful! Great job. You’ve got this!! Impeccable work and LOVE your design! Erin, I want to tell you that the “bloody Red Queen” will definitely be stopping by your blog and checking out your line. I was telling my daughter about it. She is the Red Queen at heart. When I told her that one of the ladies was doing and Alice line, she flipped out! As for myself, I love your Alice theme and think you have scaled down your pieces very nicely. I’m a bracelet person and especially like them but all the work is great. Ah, Erin. Absolutely cohesive. Absolutely recognizable. Absolutely fabulous. 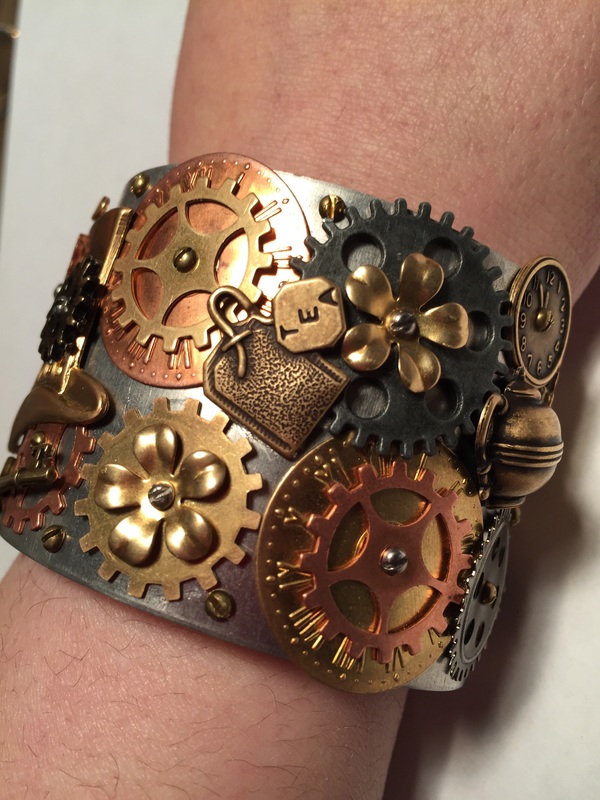 I especially love the cuff — a great fusion of different elements! Oh it is definitely coming together! Wonderfully done…. I can almost hear it…..curiouser and curiouser! 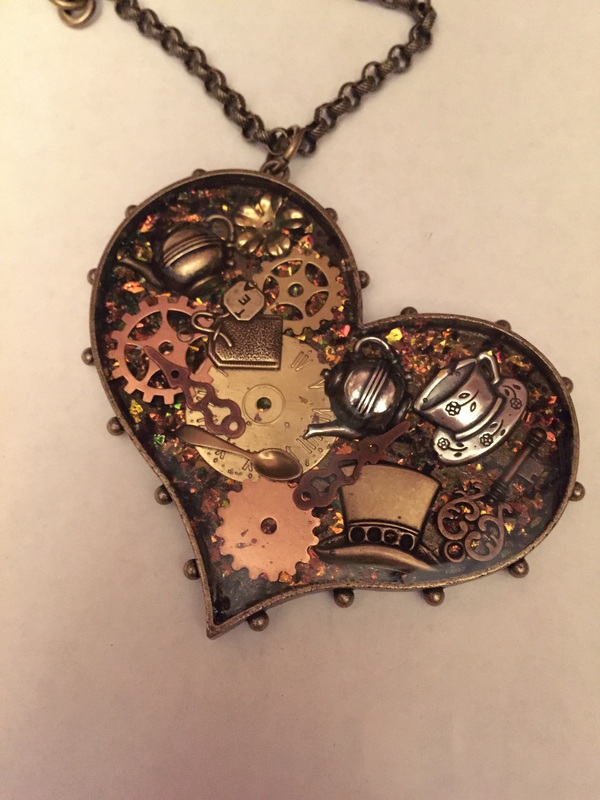 I am loving your steampunk Alice theme! Your pieces are amazing, well thought out and created with obvious cohesion. I’d wear them in a second! 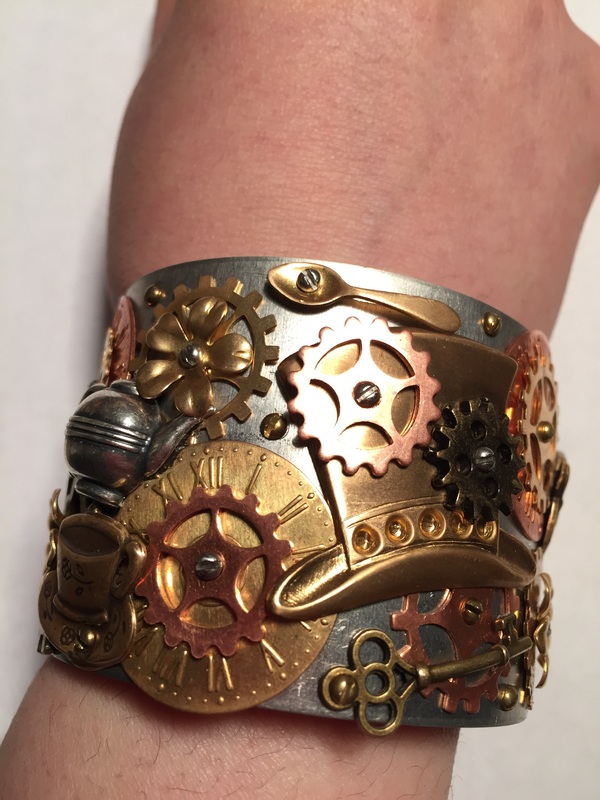 Really enjoyed seeing your steampunk designs. Very nice. Fabulous line! I love how you brought it all together with the smaller pieces. Your cuffs are over the top wonderful! I think you have a very cohesive look; very nicely done!! Erin, I especially love the collaged heart necklace. Your pieces certainly are cohesive, you’ve done a super job! I love the line….especially the cuff bracelet and the heart!! Alice in Wonderland is a favorite, but I think that the “Red Queen” needs a piece!! 🙂 Beautiful work!! Your cuffs are fantastic! 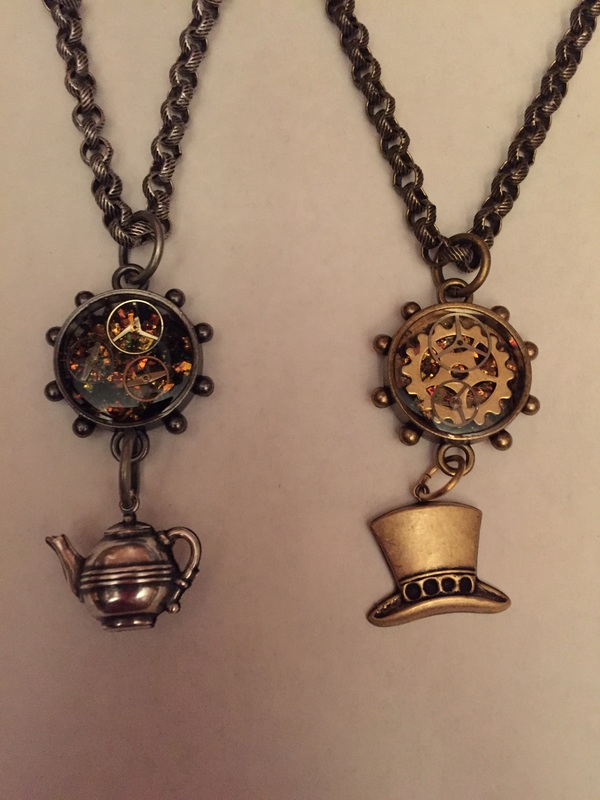 I’ve also used resin-filled bezels with Steampunk objects, it’s so much fun to create with! Great work, Erin! awesome blog and pieces of art! enjoyed reading you and will be looking forward to your full line! 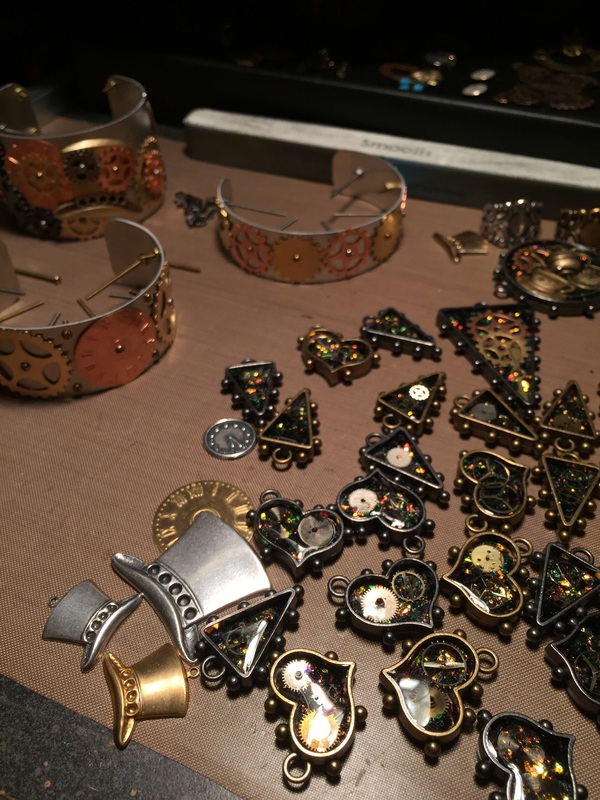 Wow you really have some very impressive steampunk jewels going on here, and their gorgeous, love the post too. I love your rabbit hole, Erin! Glad you were able to step out for more economical pieces in your line. My favorite is the heart piece. Love that! 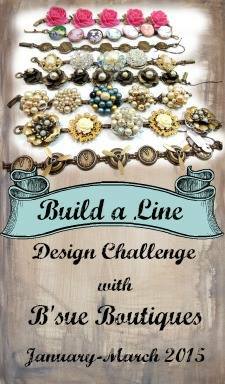 Love the design elements of your line. The smaller collage necklaces are really cute. The cuff is spectacular. It has so much interest. 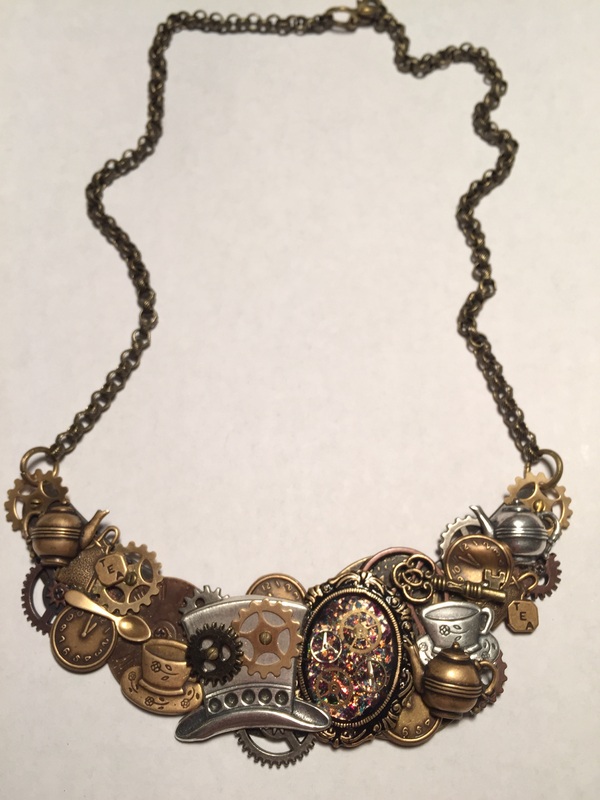 Excellent steampunk pieces! You’re on a roll! My favorites are the bracelet with the double chain and the heart pendant! Wow! All of the pieces are a cool theme and they go together really well! My Hat’s off to you! You’re doing some really marvelous pieces. Steampunk & Stories are parts of my future plans, & my fingers get anxious to finish this line and get to work on the other plans. But WOW That cuff is out of this world & the work & workmanship is amazing. If you hop down the rabbit hole be sure to come back after tea, I’d love to see what you make in your Wonderland! It looks like you have this line thing down. There’s a range of design complexity and types and sizes of pieces and they all clearly go together. Gorgeous work. Fantastic work! Great line and great execution! Love Alice and her Wonderland! Just Wonderful!!! love the steampunk alice theme. Your line is coming together nicely- look forward to seeing in its entirety in a month! Erin this line is FABULOUS!!! I am so impressed!!! 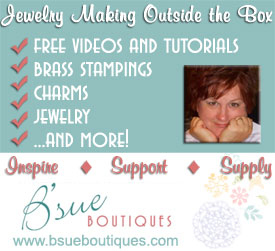 Beautiful designs, whimsy, and fun and well thought out!!! Bravo!!! Be Blessed! Wow, lots of work! Great job on your use of resin! ~ Catherine S.
Erin I am not a steampunker but Your pieces are fabulos. I love how you tiered down your creations and the cuff is over the top Awesome. Will see you at the next hop! Erin – Very nice! You’re pieces are great and really go together. The cuff is WOW! I mean WOW!! Looking forward to seeing more of your pieces. You have really figured out the whole line idea, great job! I can’t wait to see the finished line! Your line is coming together beautifully! 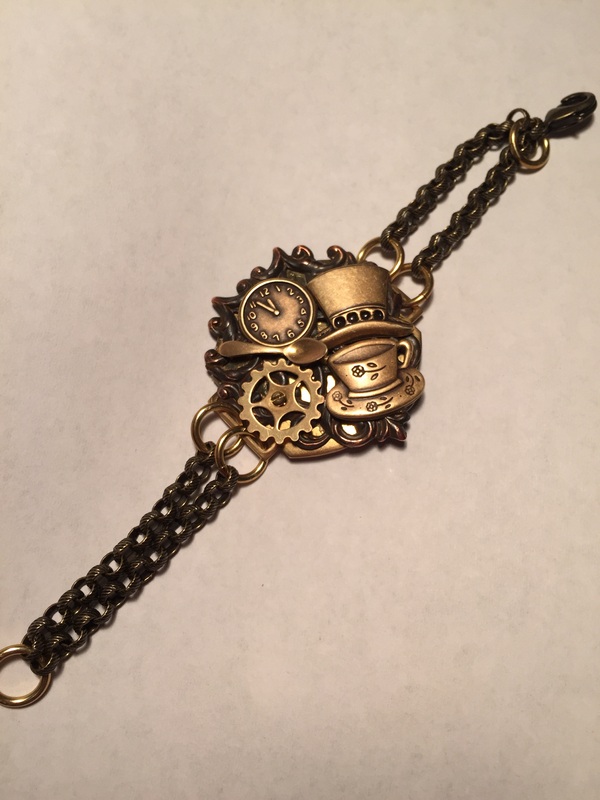 I love the steampunk feel, can’t wait to see the whole line. 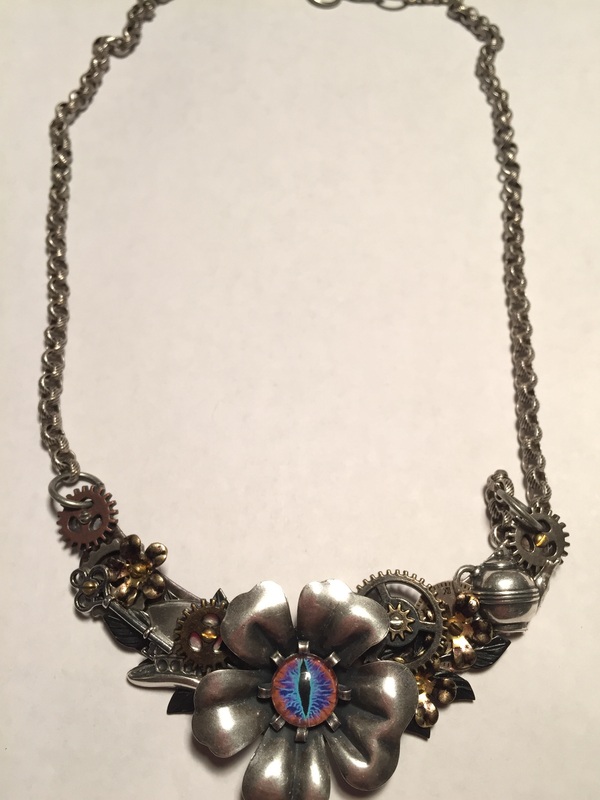 Impressive Pictures…great blog….and fascinating, unique jewelry! Everything is very fascinating and well done!